Pin Up 2 coats with Seche Vite topcoat. I love reds and this is no exception. From the ALU collection 2009, this is so bright and cheery. It also has a subtle shimmer, which I think makes it more interesting. 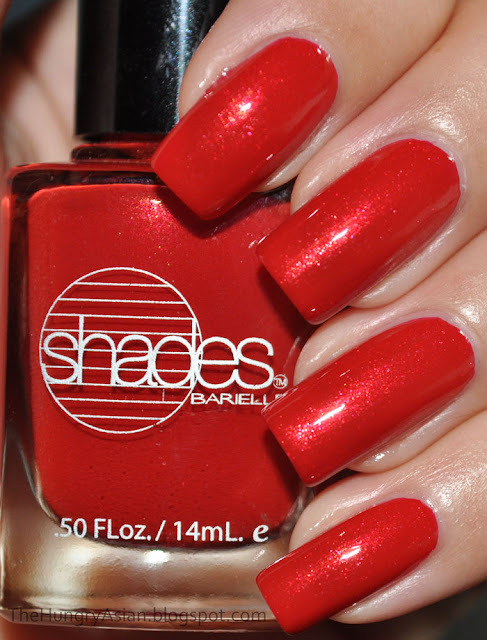 All the Barielle shades retails for $6.00 and you can get them on their website here.